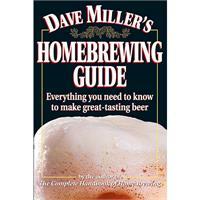 Packed with useful information that will inspire you to take your beer to the next level. This comprehensive guide offers expert advice on the entire brewing process with up-to-date techniques, simple definitions for unfamiliar terminology and helpful diagrams demonstrating proper equipment layouts and methods. Paperback - 368 pages - 6" x 9"
If you can boil water and combine ingredients, you can learn the skills you need to make top-notch beer. 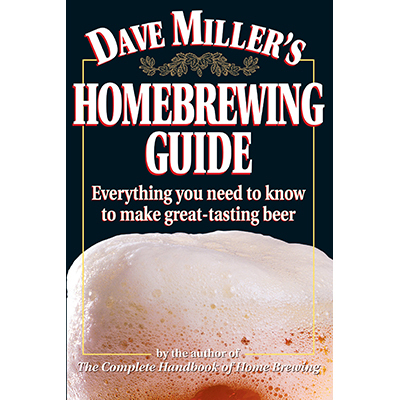 Dave Miller's Home-brewing Guide is a simple yet complete overview for brewers of all levels. Brew-master Dave Miller offers up-to-date advice on cutting-edge techniques and successfully guides you through the entire brewing process.